Shown with its long ears towering skywards and eyes closed in a meditative state, this praying rabbit figure sits with his palms pressed and legs crossed. 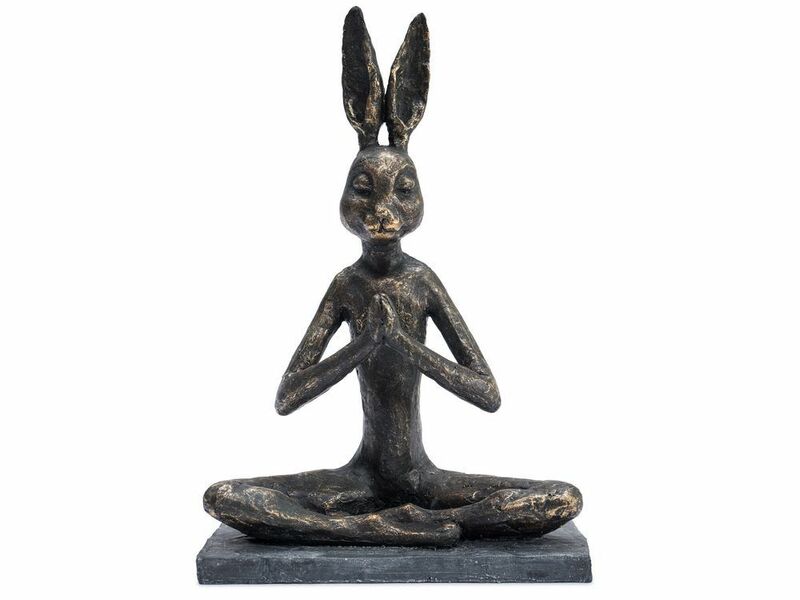 Made in bronze finish resin with a low base that suggests a yoga mat, the unusual figure makes a quirky and accent in rooms, with the rabbit sculpture evoking peace and humour at the same time. An accompanying lotus position rabbit is also available, should you wish to create a peaceful pair.